1. 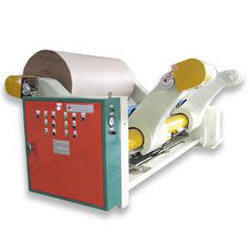 This machine is made of high rigid cast iron and lift arm, beauty exterior shape and durable feature. 1. 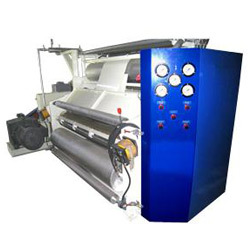 This machine is exclusively for the formation of fluting paper and laminating of single facer. 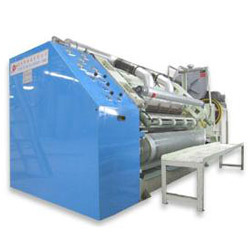 (1) This machine is exclusively used for preheating paper napkin. 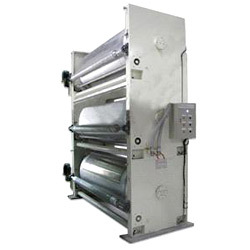 Steam heating manner is adopted as the heat source for this model. 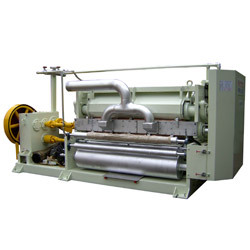 (1) This machine is exclusively used for conditioning and preheating raw fluting paper. Controlled by pneumatic system. 1. Especially for cutting the single face cardboard transverse and vertical. 1. 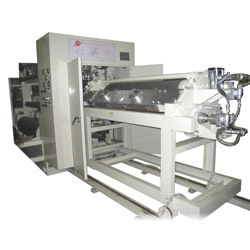 This machine is for pre-heating the two pieces of single-faced corrugated paper (for double wall) before it goes into the glue machine. 1. 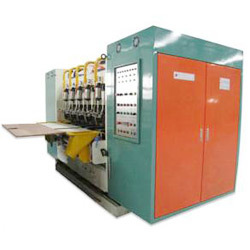 This machine is for two single facers and a liner to form double wall(5 layers) cardboard, which is set between triplex pre-heater and double facer, powered by front of drive machine. 1. This is the newest model. Two operations offered by motorized or computerized control system. 1. 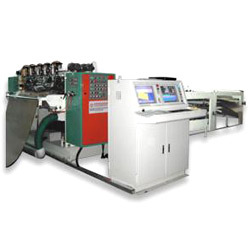 Exclusively for the formation of fluting paper and laminating of single facer. 2. The speed can reach up to 130m/min. Production rate max. 120m/min. The drive motor 25~30HP. 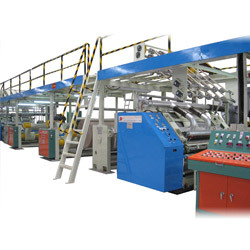 (1) for triple or five layers cardboard machine, which is made of single facer and liner with glue. 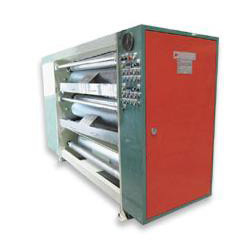 (2) Steam heating is one of source to fix cardboard. 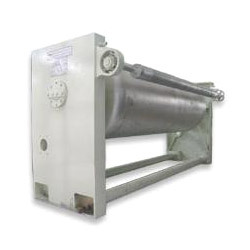 It is driven and fixed by special cotton belt. 1. Used for 5 layers corrugated cardboard. 2. Install on the conveyor above the triple pre-heater. 3. 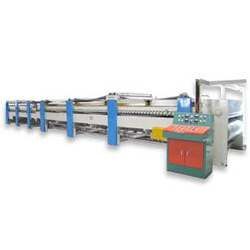 This machine is formed of iron plate housing. 4. 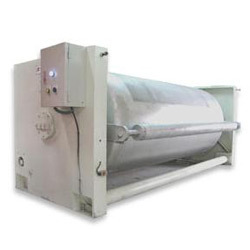 Vacuum suction creates tension of single-sided paper. Double layer mechanism. 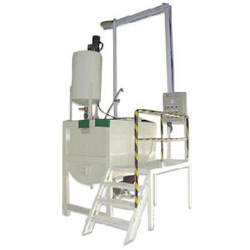 Glue facility machine includes glue stirrer, barrel of storage glue, shelf and glue pump. 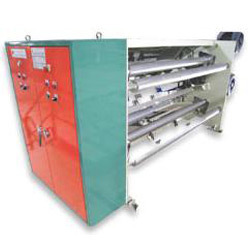 The facility form is for the reference, customers could require what they need according to specification and quantity. 1. The heater section and cooling section power source of drive. It divides into front part and back part, the back part is the main power of it. 1. 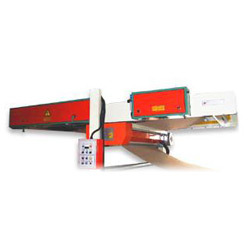 NC cutting machine conveys cardboard slowly to stacker after cutting. 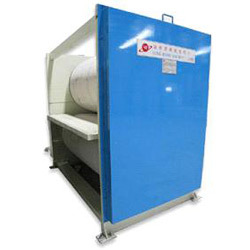 Then, collecting sheet transports cardboard to packing machine. 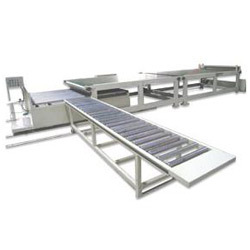 Sheet stacking conveyor can be divided into two parts: stacker unit and collecting unit. 1. 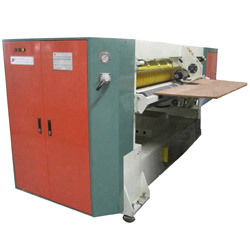 This machine is especially for cutting the single face cardboard. After cutting, the single wall (3 layers) combined with cardboard and colorful cardboard, it also could be packed for shockproof goods. 2. The speed can reach up to 100m/min. Production rate max. 100m/min. 2. The height of this machine can be reached to 200m/min. The production speed also can arrive at 180m/min. 1. This machine is operated by computer parameter selection. We could enter and save 99 sets for ordering size to circulate before using. 1. 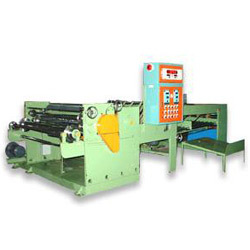 This machine is special for produce single web purpose. 2. Maximum machine speed 120 m/min. This type of single facer is very good choice to the machine speed under 120 m/min and suitable for change the flute frequent. 1. 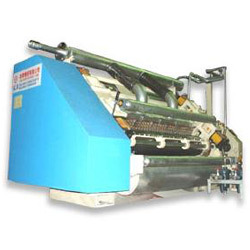 This machine is specially used for single, double, triplex wall(3-5-7-layer).